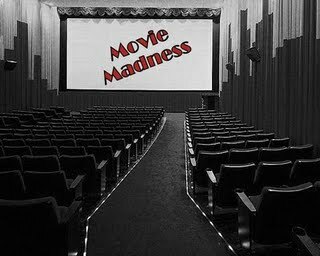 This long weekend may have people flocking to the theatre...too bad there are not many good flicks hitting the screens. This looks like another one of those movies where special effects seems more important than story line...and you can't really blame me for thinking that because can you really tell what the hell this movie is about from the trailer? Exactly. Mmmm, yum. Not only is the completely edible Leonardo Dicpario in this movie, but we see the return of Armie Hammer, most notable for playing those two Winklevoss twins in The Social Network. (Side Note: Howhas Leo not won an Oscar yet? t is getting a little ridiculous at this point. He should knife someone.) I am very intrigued by this movie, but I am hoping it is not a repeat of The Good Shepard...which was long, boring and forgettable. As much as I want to think that this would not be the most painful movie of the year...I think I would be terribly wrong to think otherwise. Adam Sandler as a chick is pretty much a vomit inducing scene...but I think the whole 'stupid person who can't take a clue' story line would make me end my life early. All I could think of the whole time I watched this was...good God I hope I never get fired. Then about halfway through I started paying attention again and decided that it looked like a super stellar cast and could be interesting....very interesting. 'What the hell was that?' If you are not thinking this after watching this preview then you will probably like it and I recommend you go find a art house theatre that is showing it. If you are wondering why Kristin Dunst won an award for this movie, welcome to the club. Can't stand that broad. My pick: J. Edgar...go learn something that may or may not have a sliver of the actual truth about some American person who had a lot of power at one point before he died.